If you found my web site useful consider making a donation through Pay Pal. On September 3, 1930 a devastating hurricane, Cyclone San Zenón, hit Santo Domingo directly. There were only 400 buildings left standing of the cities 10,000 some structures. Rafael Leonidas Trujillo, who had just recently become president, declared a state of emergency, as tens of thousands of the cities residents were now homeless. 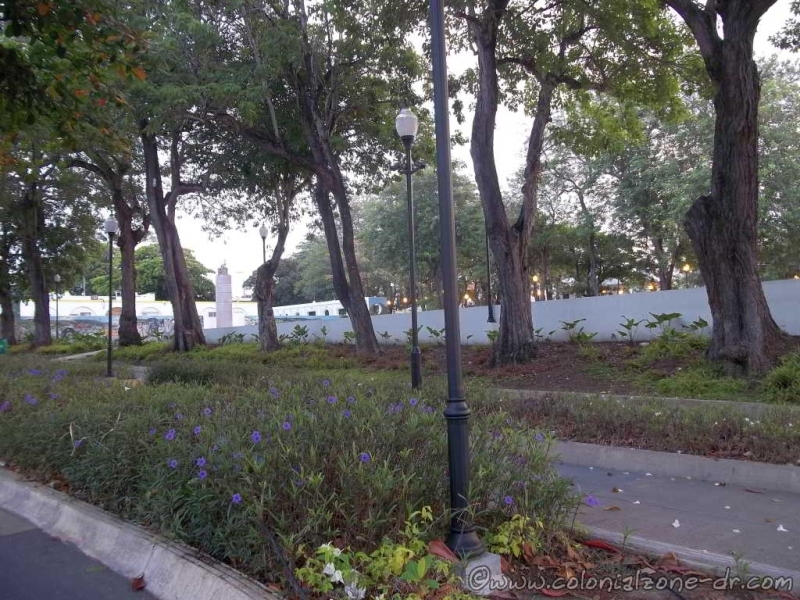 Parque Eugenio María de Hostos (also known in the past as Plaza Colombina and Parque Ramfis) is located on the Malecon (Avenida George Washington) of Santo Domingo across from the Plaza Juan Barón, Ciudad Nueva. Walking distance from the Colonial City. The Park and public space Eugenio Maria de Hostos has a very interesting past and present. Plaza Colombina was used to dispose of and burn the storm debris. These fires were also used as funeral pyres, cremating hundreds of the human and animal casualties from this incredibly devastating hurricane (some say that Trujillo used this opportunity to also dispose of politicians and activists that did not die in the storm). 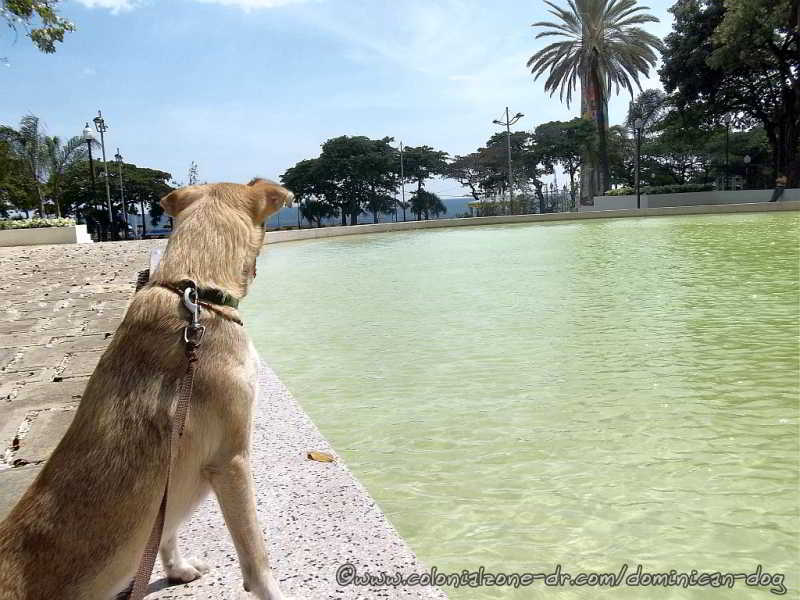 Later the park was renovated and inaugurated in 1936 during days of dictator Trujillo. 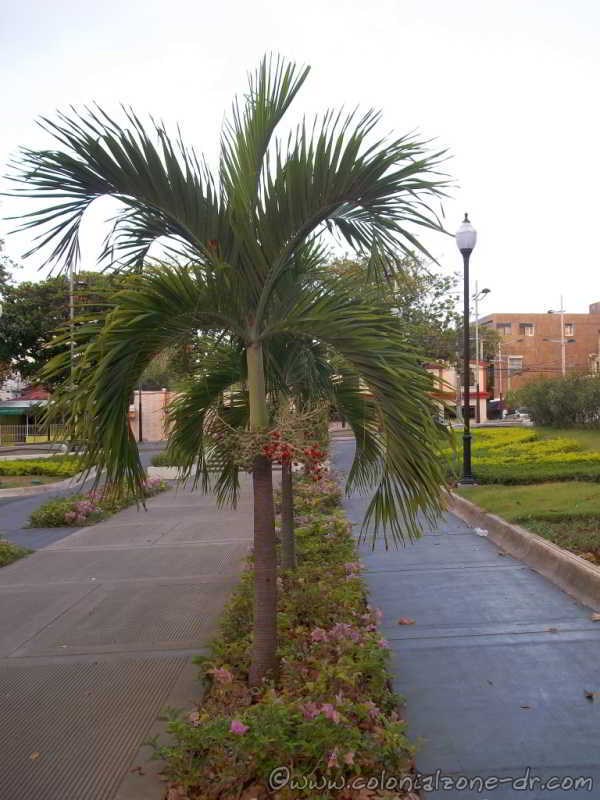 The new name was Parque Ramfis, named after Trujillo's first-born son. 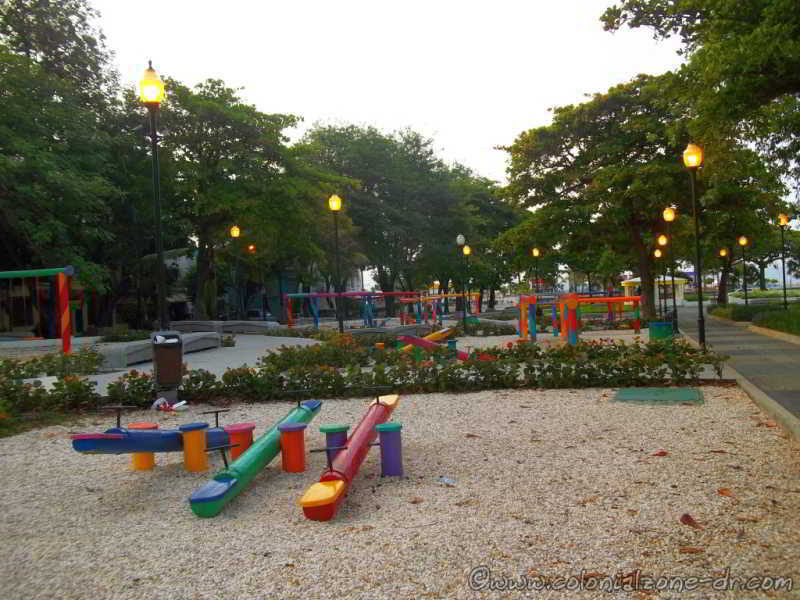 The name changed, once again, to Parque Eugenio María de Hostos in 1961. Over the years it changed to a dull, dirty and depressing place. It was boarded up for many years and became an eye sore along the Malecon. 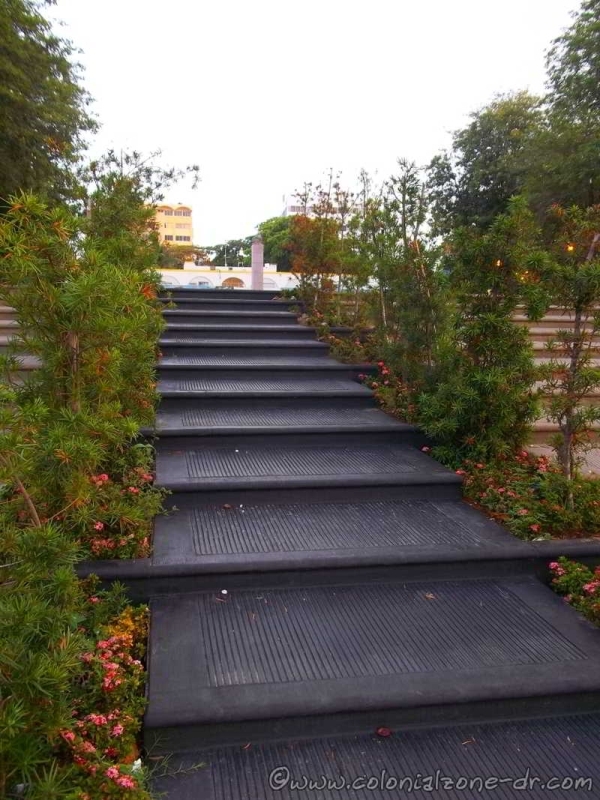 After closing the park for about six years and spending over 80 million pesos on renovation works the new Parque Eugenio María de Hostos was inaugurated on December 14, 2013. 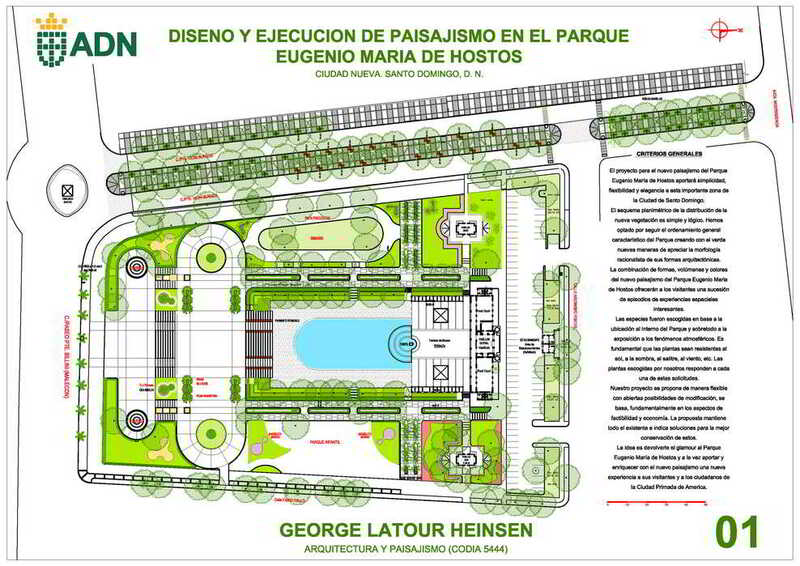 For the Scouts, the Eugenio Maria de Hostos Park has a special importance. 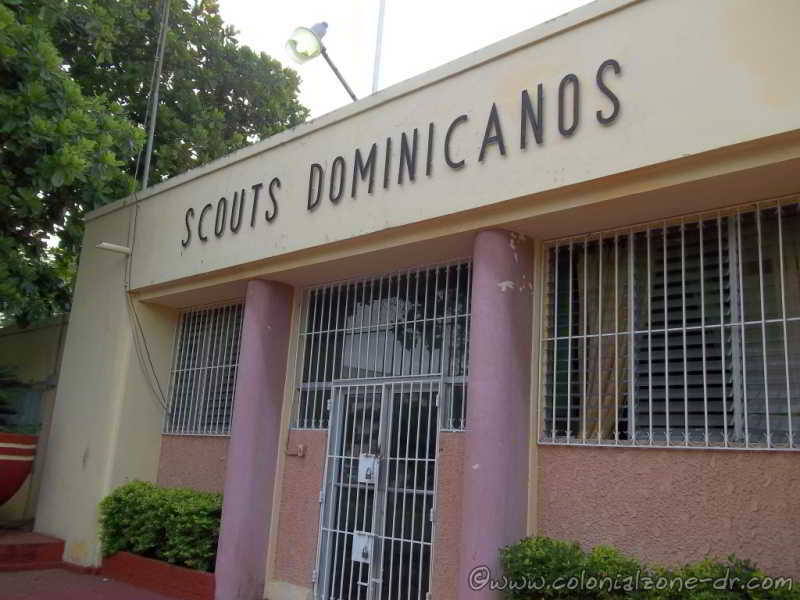 It is the headquarters of the Asociación de Scouts Dominicanos, Inc. / Dominican Scout Association, Inc. and has housed the National Scout Office since the 1950s and is the home of Scout Group No.7. "In 2014 marks the 100th anniversary of the arrival of the Scout movement to the Dominican Republic. The reopening of this space that houses the national home of the Scouts, as is the Eugenio María park Hostos, occurs at the right time, as it will allow us to celebrate with the rest of the citizenry this historical moment in our home, "said Diana Taveras, No. 7 Scout Group. The new improved park adhered to much of the original park looks and design. The park has many flowers, shrubs and trees including beautiful Oaks (Robles), Almond (Almendras) and Palms. 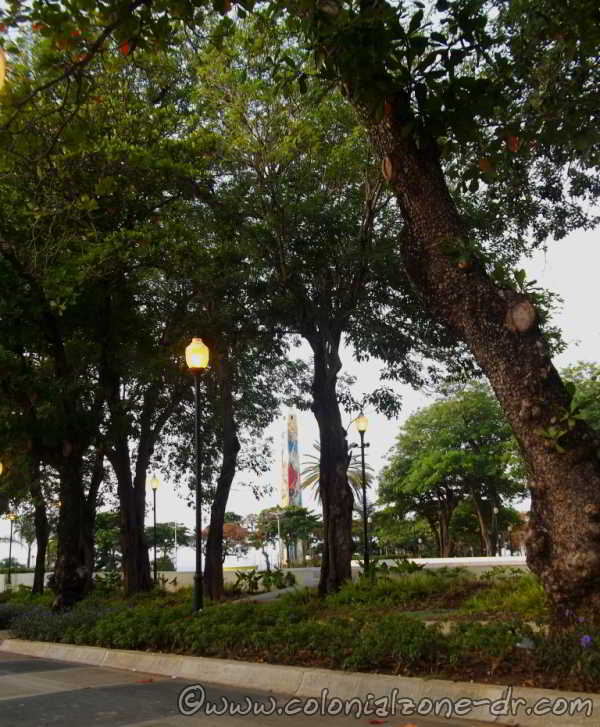 The Parque Eugenio María de Hostos is located on the Malecon (Avenida George Washington) of Santo Domingo across from the Plaza Juan Barón, Ciudad Nueva. Walking distance from the Colonial City. A short biography about the parks name sake. Eugenio María de Hostos (January 11, 1839 - August 11, 1903 at the age of 64). Hostos was born in Puerto Rico, educated in Puerto Rico, and Spain and traveled extensively throughout the Americas. He held many titles including educator, philosopher, lawyer, writer, sociologist and fighter for women's rights. Hostos first came to Dominican Republic in 1875 and founded a Teachers School, stayed for a year, then moved to Venezuela. He returned off and on to Santo Domingo and helped to reorganize the educational and railroad systems of the country. He and his Cuban wife had 5 children. He was known as "The Great Citizen of the Americas" / "El Gran Ciudadano de las Américas". His remains are located in the Pantenon Nacional in Colonial Zone, as he wished, until the day Puerto Rico is completely independent. His birthday is a national holiday in Puerto Rico. 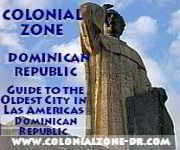 There are schools, monuments, towns and more that honor Hostos in Dominican Republic, Spain, USA and other countries. He also has many published written works. You can stroll along the beautiful and serene flower lined walkways that twist and turn throughout the park. There is a fountain with reflecting pool and a mural by artist Manuel Toribio. 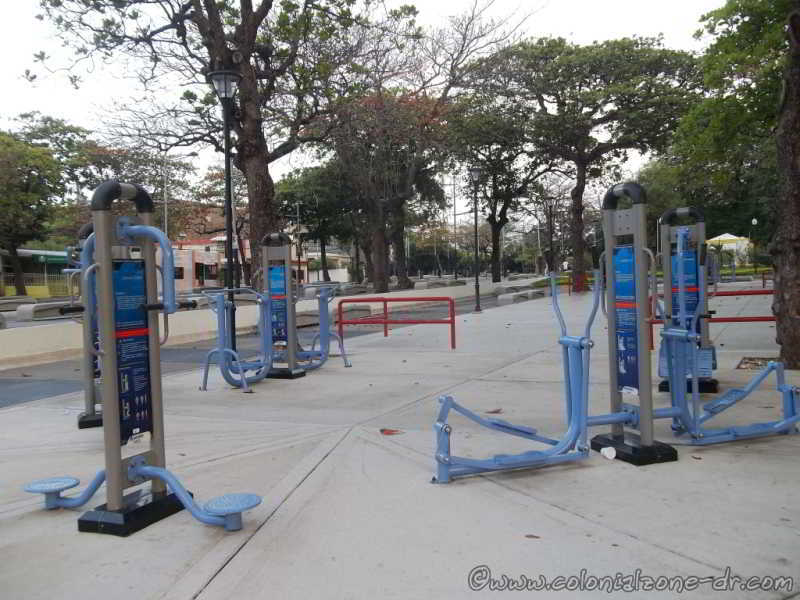 There is a section where there is exercise equipment for all to use and a brightly painted playground for the children and even clean public restrooms. There is a police station located in the park, good lighting and security cameras for the safety of all. The park is now a fantastic and fun place for the entire family. The park was well kept and even had a public pool (see some of the old pictures of the park).